As this comprehensive Companion demonstrates, social economics is a dynamic and growing field that emphasizes the key role that values play in the economy and in economic life. Social economics treats the economy and economics as being embedded in the larger web of social and ethical relationships. It also regards economics and ethics as essentially connected, and adds values such as justice, fairness, dignity, well-being, freedom and equality to the standard emphasis on efficiency. 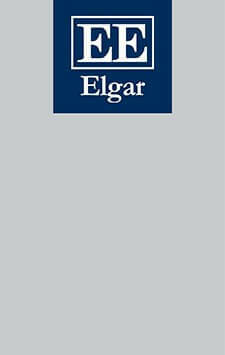 The Elgar Companion to Social Economics brings together the leading contributors in the field to elucidate a wide range of recent developments across different subject areas and topics. In so doing the contributors also map the likely trends and directions of future research. This Companion will undoubtedly become a leading reference source and guide to social economics for many years to come. Providing concise discussion and an indication of what to expect in future decades, this interdisciplinary Companion will be of great interest to students and academics of social economics and socio-economics, as well as institutional, evolutionary and heterodox economics. It will also appeal to management scholars and those concerned with business ethics.